Dr. Jeremiah shared a sermon this morning on Peter’s words of encouragement to us. Peter shares from the Bible that we should “cause our minds to remember”. Jesus said, “Do this in remembrance of me and often”. As Christians communion time is a time of remembering, searching our soul and asking for forgiveness, making things right before the Lord. Jesus knew how easy our minds would forget Him and all the marvelous works He has performed in our lives. He provided. We are easily entangled in the world, our struggles, our pursuits. Our children who grow up in Christian homes should hit a point in their lives in which they cause their minds to remember, question, and seek answers for themselves. Oh to come to Christ with child like faith; yet, we grow up and question. I used to be afraid of this, and certainly I don’t wish for any of my children to stray from the center of God’s will, but how will they know Jesus for themselves until they discover Him through their journey? I’m constantly listening to sermons from strong Christian leaders to guide, encourage, discipline, and rejoice. Last night Adrian Rogers shared an AWESOME sermon on encouragement and Barnabas. He commented that churches are often the place that a fallen soul receives the most judgment. I don’t like to bash churches because I love church–we are a bunch of hypocrites gathering at a spiritual hospital to be healed. Brothers and sisters need encouragement in the faith. The battlefield is hard work. Dr. Jeremiah told a little story about a boy who fell out of the bed. The little boy told his mom, “I fell asleep too close to where I got in”. Have you falling asleep too close to the time you said, “Yes” to Jesus or in your years of faith? Peter tells us that we can be Christian–love Jesus, but are we keeping His Words close to our hearts and minds and living His Words out in our daily lives to the best of our ability? 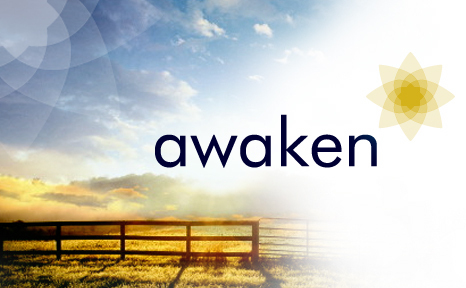 Awaken to HIM! Cause your mind to remember! Be encouraged! God is merciful, gracious, slow to anger and full of love. Next Abe, Measuring Sticks, and a Challenge!